← Announcing the Return of the Green Thumb Challenge Grant! Who doesn’t love spending time at the beach on a hot summer day? It’s a great way to get out of the house and cool off—BUT be careful! There are various types of pollutants that can make the ocean unsafe to swim in, including oil, polluted rainwater, toxic materials, and trash. Swimming in polluted water can make you sick, and that would certainly put a damper on your summer plans! So be aware of your beach’s pollution status before you plan a trip this summer. If you’re passionate about your local beach then there is something you can do to help keep it clean and safe! Organize a monthly clean up. Just get a group of other avid beach-lovers, choose a public beach, and pick up trash along the shore. Make sure you use gloves and stay away from debris that could be harmful to you. 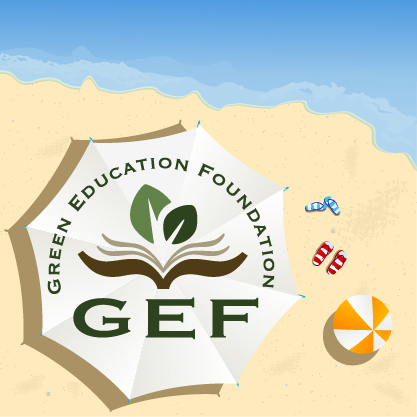 Also, check out GEF’s Sustainable Water Challenge to learn more about water sustainability and click here for Water Saving Tips! NRDC is the nation’s most effective environmental action organization. NRDC uses law, science, and the support of 1.4 million members and online activists to protect the planet’s wildlife and wild places and to ensure a safe and healthy environment for all living things. NRDC’s website provides a wealth of environmental information as well as state-of-the-art online activism tools. This entry was posted in Sustainable Water Challenge, Water and tagged sustainable water challenge. Bookmark the permalink.